One thing that can really ruin the curb appeal of your home is damaged, peeling, warped or rotten siding. Doing the necessary repairs is one of those remodeling projects that not only greatly improves the look and feel of your house, but also offers one of the highest ROI’s; an important consideration if you are planning to sell your home. Repair costs can vary greatly depending on the extent of the damage and the siding you have. Here are up-to-date price estimates on the most common fixes for the top siding materials, to help you plan your budget. How Much Does it Cost to Repair House Siding? On average, homeowners across the US spend between $400-750 on siding repair (labor and materials). However costs can go up to $2,000+ depending on the extent of damage and the siding material. 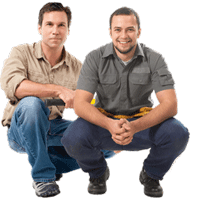 Typically, contractors charge $40-50/hr for a repair job. Alternatively, upon inspecting what needs to be fixed, they may charge you per section. 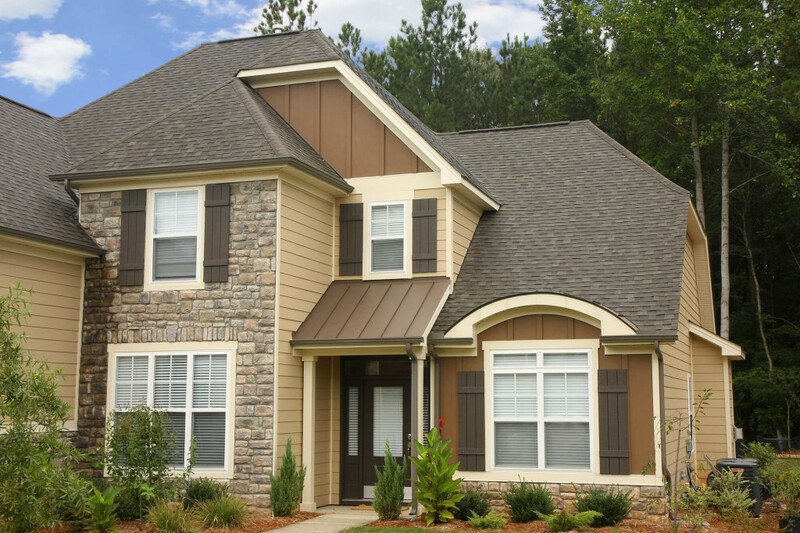 Usually, vinyl siding is the easiest and cheapest to repair, while brick/stone is the most expensive. 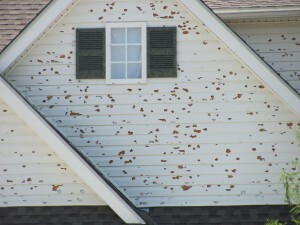 The siding you have will greatly impact your repair costs. 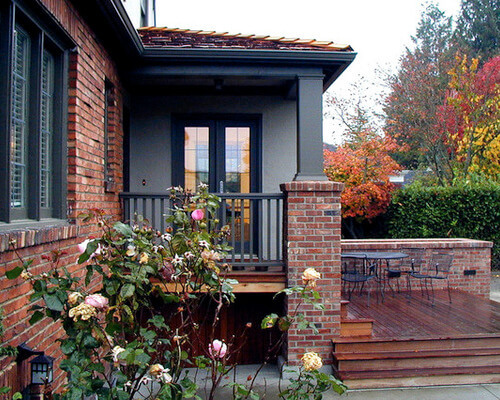 Here is what you can expect to spend to fix common problems on the following siding materials. 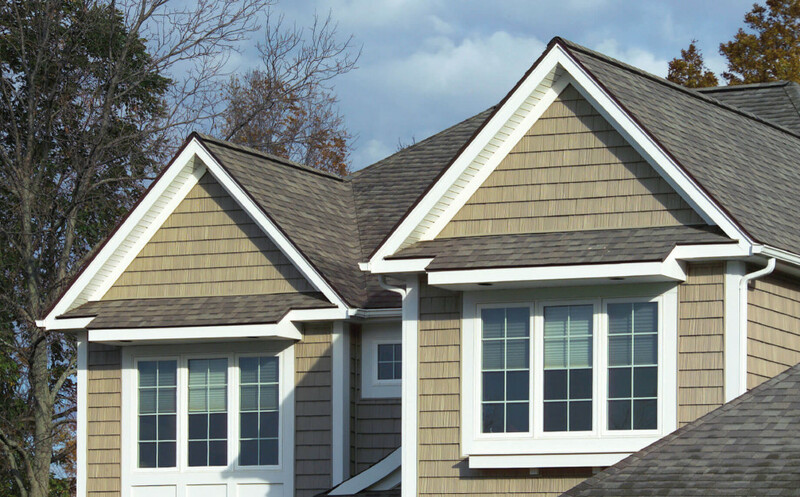 Over time, vinyl siding may become cracked or damaged as a result of prolonged exposure to the elements. Depending on the extent of the problem, you may need to replace a few boards, or entire sections. 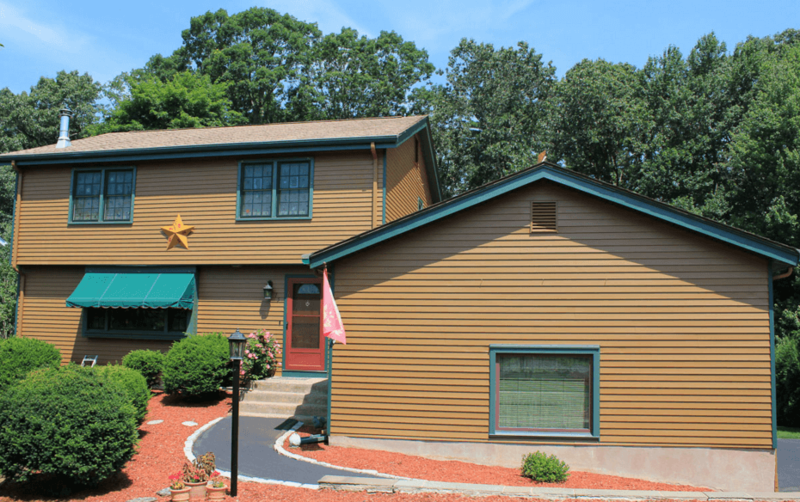 Sometimes it can be difficult and costly to find replacement boards that would closely match the existing ones, due to overall discoloration of the siding that happens in the course of a few years. It is recommended to purchase a few hundred sq.ft. extra of your siding at the time of initial installation, so that you can use them for future repairs. Another option is to take good siding boards from less visible parts of the house, if you need to replace boards in the front, and purchase boards that are less well matched to replace those. Repair Cost: if you are looking to replace just a few boards of vinyl siding, you may pay as much as $40-100/per board depending on the color and style. A small repair job will start at around $350+. If you need large sections of vinyl replaced (100 sq.ft), expect to spend around $500-700+ (labor and materials) depending on how long the job takes. The process of repairing fiber cement siding is very similar to vinyl: individual boards or entire sections will need to be replaced. Repair Cost: Since fiber cement siding materials cost double (or more) the cost of vinyl, your repair budget will go up accordingly. New fiber cement siding starts at $4.5-9/sq.ft. and high-end varieties can cost as much as $10-12/sq.ft. Overtime you wood siding will start to split and may develop small holes, making it susceptible to water infiltration and subsequent rotting. To repair damaged wood siding, most contractors charge to replace an entire section (typically 6 ft). The new section will also need to be either stained or painted (costs extra). Sometimes dry rot may be discovered under the damaged wood siding, and will also need to be repaired. Dry rot is caused by tiny fungi that grow in a moist environment. Essentially they feed on wood, leaving it rotten behind, and move on to a new area. This issue is often hard to detect and comes out when the damage is already extensive. Watch for early signs of dry rot, such as cracked or peeling paint on the siding, or wood that either appears darker than the surrounding area or is green with algae growth. Repair cost: Replacing a 6 ft section of wood siding can start at $140-200+ (labor and materials) depending the type of wood and style of siding. Prices to paint wood siding range from $0.85-1.65/sq.ft, but you should expect to pay an upcharge if you are only looking to paint a small section. In this case, you may also consider doing it yourself, and saving a few hundred dollars on labor. Repairing dry rot costs an average of $250-600, but can go as high as $2,000+ if the damage is extensive. A frequent and easy to fix issue that can happen with aluminum siding is denting. If you only have a few isolated boards that are dented, a hole can be drilled into the board, a screw is inserted and the dent in punched out. It can the be patched and repainted. Because its such a small job, its better do DIY it or hire a handy-man, as most contractors will not agree to do it. However, if you have a whole section that is dented or badly faded, and needs replacement, its best to call in a pro. Repair Cost: On average, aluminum siding costs $3.50 – 4.75 per sq.ft.. So if you need to replace a 150 sq.ft section, you will pay about $725-1250 (labor and materials), depending on whether its a half-day or a full day of work. If insulation needs to be replaced, expect to pay $1400+ for additional labor and materials involved. 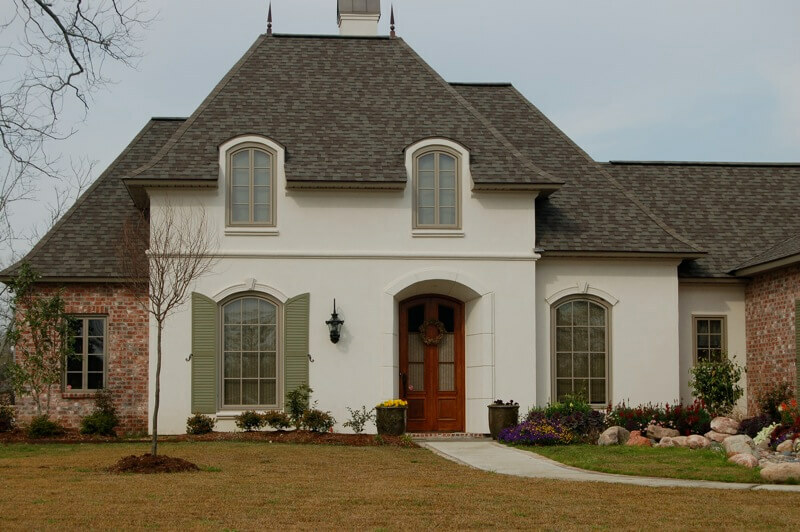 The most common problem with stucco siding is cracking and warping as a result of prolonged exposure to a range of weather conditions. Repair involves removing the damaged area, installing a vapor barrier over the exposed area, cover it with new metal lath, and finally applying new stucco. Repair Cost: expect to spend $450-850 (labor and materials) for to repair about 10-15 cracks on your house. Its recommended to use synthetic or acrylic stucco for your repair, rather than the traditional one. This is a wet as opposed to a dry mix and provide brighter color options and improved textures. It is considerably more expensive and using it bumps up your total repair cost to $950 – 1,200 for the same size job. If you want to paint the stucco, budget for an additional $250 -500, depending on the size of the area being painted. 1. Overtime the house starts to settle, and this leads to cracks in the mortar between the stones/bricks. (typically the brick itself remains in tact). If the brick/stone itself is also cracked, it will also need to be patched with mortar. Repair Cost: Grout and mortar mix costs $2-3/sq. ft. plus the cost of labor at $45-60/hr. Small jobs can take 10-15 hours, while more extensive damage can take as much as 40+hours to fix. Thus, expect to spend at least $700+ to repair around 200 sq.ft. of brick siding. 2. Brick or stone itself becomes very old or its wasn’t properly installed, and requires replacement. Repair Cost: Replacement brick or stone can run $8-10 sq.ft. However, sometimes when its not possible to get an exact replacement match, you would need to replace an entire section of siding. This would bump up the cost to $11-15/sq.ft. Thus the total to replace 100 sq.ft of brick or stone siding can start $1500-2,000+.